"Hmmm, it smells great", said the husband. "I'm trying out something different", said the wife. "Oh, whatever it is, it smells good", repeated the husband. "I'm baking a cake, a savoury cake", said the wife. "A what?" asked the husband. "A savoury cake", repeated the wife. "What's that!" the shocked husband asked. Unsure how the cake turned out, what it would taste like, the wife kept mum. The husband turned to his newspaper and was lost in the business section. Later, the wife cut the cake and served the husband – she didn't dare to taste it herself. "What's that?" asked the husband yet again. "The savoury cake", replied the wife. "It's salty and spicy, not sweet like the regular cakes", the wife proceeded to inform. "Ok, I'm the guinea pig anyway", the husband replied resignedly. He took a bite, delivered his verdict and polished off the plate. The next morning he announced," I'll have that thing you made yesterday for breakfast." He had it with his lunch and dinner too. The following day a friend came over, the last piece of cake was left, which the husband offered the friend. "What's that?" asked the friend. "A savoury cake", he informed knowledgeably, '"it's got salt and spices in it." "Hmmm, it's good" said the friend, "you must teach my wife to make this." Here's how the wife baked the savoury cake. It's got a bit of all types of spices, and it's healthy – atleast the wife thinks so!! My entry to Meeta's Monthly Mingle #8 : Savoury Cakes. Tip: Substituting plain flour with whole wheat flour and a bit of ragi flour in this recipe. Read about the benefits of ragi/finger millet here and here. This is also my entry to Sushma's Monthly Cooking Tipology. HAHAHA!! That was hilarious J!! Looks good with unique flours like Ragi,very creative.I like these savory cakes better than sweet ones.YUM! hee hee hee very funny to read the info about ur savoury cake jyothsna! !looks healthy as the wife thinks . :-Dwill try..i have tried ur hot and sour soup.it was really good.will post on my new blog some time. Jyo, wonderful post. Had a great laugh. Thank you for the entry. BTW: just saw you are in Sharjah - my parents live there too! :-D That's hilarious, well put... Cake looks yummy, interesting set of ingredients, very creative. That was a funny write up..Good entry for MM..
Asha - Thanks!! You were the inspiration to ahead with this post!! Hugs to you :) I beleive ragi is really healthy, if you can stand the taste that is!! So I add very small quantities of it. Savoury cakes are a nice break from sweets. Thanks, but I didn't change my template! Swapna - This sort of conversation actually took place at home, the friend bit too!! :) Thanks for trying the hot and sour soup. I'm glad you liked it! :)Do try the saoury cake too. Sushma - Spinach is a brilliant idea! Never struck me :( Maybe you can try my cake with sauteed spinach, oh I can already feel the taste! Hey jyo that was quite a good anecdote. I had a veggie cake recipe in hand and wanted to try for MM too but somehow got postponed and never happened..anyway when u vouch for this recipe, its boosts my confidence to give it a try. Btw, though u say that u havent changed the template, me too noticed some difference ...page is more bright now! Usually all husband become the experimental _______oops!! Thats certainly different! Nice recipe, I liked the write up too...isn't this is the story of all the wives who try out new things from other blogs on their hubbies? That was a fun read, wife! very healthy too, says another wife. Husbands are born to be their wife's guinea pigs:) Loved your recipe thanks! Hi Jyothsna, I used to make savoury cakes fairly often, too, but they never seem to rise despite all the baking powder! Yours looks more "risen" that mine, so you can imagine how unpleasantly compact they were! Really nice write up. Enjoyed reading it.Is there savoury cakes or your invention ? Cake looks great. Wasn't Meeta's choice of savory cakes inspired? I've never worked with ragi or millet flour. I'll have to check them out. Thanks! Sundar - Thankyou!. I can see its your first time here. Do drop by again. Viji - Thanks, do try it! Sharmi - Thanks :) Husbands are such wonderful people, aren't they?! Hema - Hahaha! Same story everywher huh?! Shilpa - I did see our comment on the tiramisu, thanks:) I'm not a baking expert, but the cake did rise. But when it was cooling, it sank a bit in the centre, thats a mystery or maybe all the cheese weighed it down!! And looking at all that variety you cook, your cakes are certainly not unpleasant I can bet!! Pravs - Thankyou! Apparently savoury cakes have been around, I came to know about it thru' Meeta's blog (What's for lunch Honey). She asked us to turned around regular cakes with salt, spices, meat, vegs etc. I turned around the flour too!! My cake is an absolute experiment, I didn't know there were cookbooks on these till I read others posts! Susan - Well, I made these for Meeta's event only! Never knew about savoury cakes till then! I prefer ragi only when the taste is camouflaged with other flavours. first time to your blog.You have many intresting recipes dear.Love this savory dish of yours will surely give a try.thanks for sharing. interesting recipe and funny reactions! Hi again Jyothsna! Thanks for the "consolation", haha, but I suppose you're right about cheese weighing the cake down. Same here, they are always fluffy when they come out of the oven, but then collapse later. Welcome Soumya! Hope you give this a try! Supriya - Hahaha!! I know this happens everywhere right! Shaheen - :) Yeah, reactions are like that only mostly! 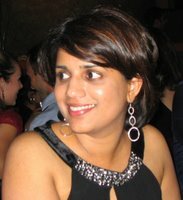 Sandeepa - Yeah, the hubby is a.... well, "convert" - nice word! Hey try making a savoury cake, I want to see your version too. Looks good. Can I omit egg in this recipe? Interesting post! jyo, I liked your creative ideas with food...keep mor eof these coming! You know what. This sounds amazingly good. I am definitely going to try it out very soon. Maybe tomorrow itself. Hope my hus too likes it,like yours.